Where has the sunshine gone?! It was absolutely gorgeous last week, but the sun seems to have disappeared and left us with clouds, muggyness and that not-quite-hot-enough but not-quite-cold-enough weather! I’ve lived in my jeans for sixth form this week, I’m desperate to get my summer clothes on! I also received this bag last week, and it was just in time. I’m fed up of my backpack for school and was after a new bag which was an ideal size. 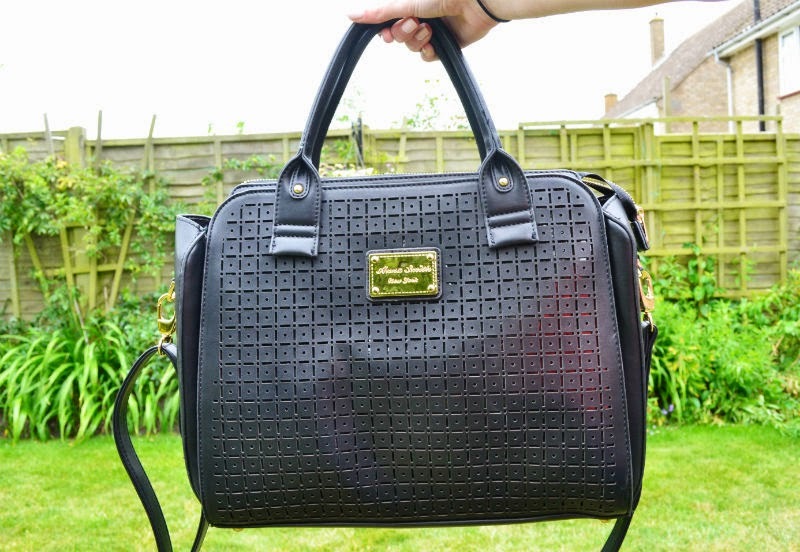 My Zara office city bag, although beautiful, broke after only a few months and was also surprisingly unpractical! This bag from LYDC is literally the perfect size – there’s enough space for some books, a folder, a lunch and a few other necessities! I am head over heels for it! I also need some help from you technology geeks – how can I avoid losing the quality of my photos when cropping and stitching them together? !